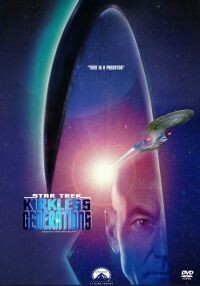 This is Star Trek Generations without Captain Kirk, but as a true NEXT GENERATIONS movie. Impossible? Nope. We do not hate Captain Kirk, but he spoiled this movie nevertheless. Although the beginning is kind of nicely done, it is still not a worthy death for James T., so it had to be deleted. Our plan was to make this the first Next Generation’s movie, filling all the plot holes between the TV show and the movie “First Contact”. It was difficult was to make up a story without Kirk that would work, and since we did not want Picard to fight Soren two times with bare hands, the 50 gigawatts force field had to knock him out. 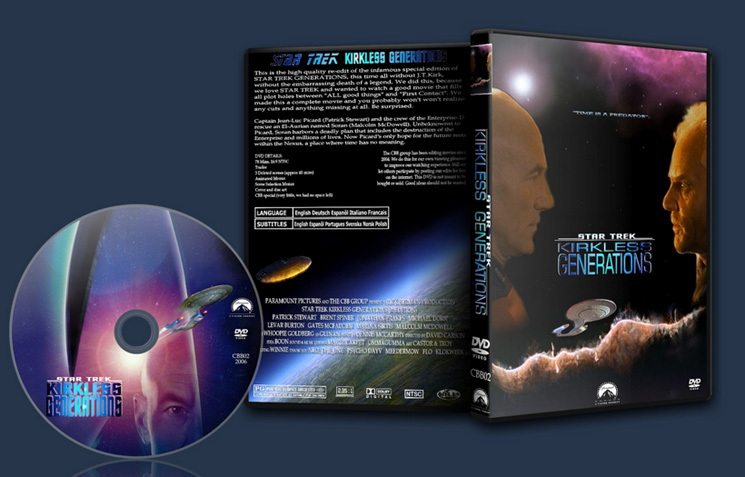 Our edition is an improvement over the original, if you like Next Generation and did not like Captain Kirk in this movie. 42 minutes of cut footage is a lot, but for the pace of the movie it was good. See for yourself. - mirrored Kirk hitting Soren, because we needed a right hand to knock Soren down the hill. I rather enjoyed this fanedit. It's much better than the original (since I do not need to see a beloved character be killed for no good reason). But there was an obvious slow-down effect and it was obvious when Kirk hit Soren and not picard. I didn’t know about this edit until about a week ago, and just watched it today. I always thought Generations was my favorite Star Trek of the Next Gen batch, and I think I remembered it a lot better than it really was. I was curious about this fanedit, because I thought the ending would be a little difficult to work around, and wanted to see how it was handled. My concerns were confirmed when it got to the climax. While it’s not done too bad, it was pretty noticeable to me. Also, the fade effect thing to get out of the Nexus, while it technically works, just came across a little iffy to me. Really, removing Kirk didn’t do anything for me since I never really minded him much to begin with, and I felt something was missing with all the references to the older Enterprise. There were however a lot of parts (particularly with Data) that I found myself wishing had been removed. Overall it’s okay, and the movie being a lot cheesier than I remember doesn’t help. Perhaps it’s the stark contrast to the most recent Star Trek that makes this a pretty bad movie in comparison. A really great edit! This works so incredibly well that it got me wondering: was the screenplay originally written without Kirk’s character, only to be inserted in a later draft? The quality of the editing is very smooth too. With the Kirk character gone, the plot strand about Piccard and his longing for a family instead of the all-consuming Starfleet career was something I found incredibly moving this time around. 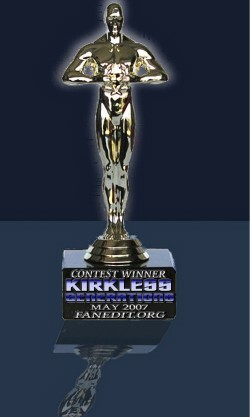 The film in its original form got distracted from that element due to Kirk’s unnecessary presence in the story. Thanks CBB for turning a flawed movie into what is for me now one of the great ones in the Star Trek franchise.